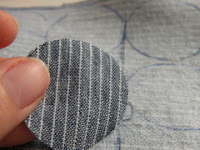 I decided to do fabric covered buttons and make three bound buttonholes. 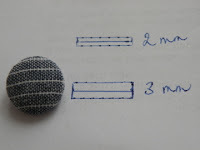 The pattern calls for 3/4 inches buttons, which is 16 mm. The set came with clear instructions and making the buttons was so easy! 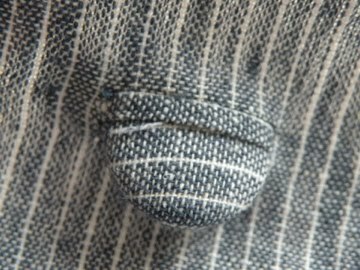 As for the buttonholes I used the Sewaholic tutorial here. 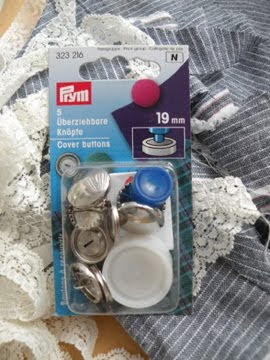 My buttons are 19 mm (diameter), so I'm going to make 20 mm long buttonholes. I was hesitating a bit which width to use for the lips, then I decided to go with the 3 mm wide ones. Not perfect yet, but definitely not bad!